Sailing Ship crossing Loch Oich on the Caledonian Canal, Scottish Highlands. The Elliott's Field Shopping Centre in Rugby. The new central Library of Birmingham, shot at night. 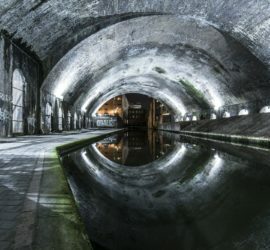 Light and reflections in the Snow Hill Tunnel, Birmingham & Fazeley Canal. 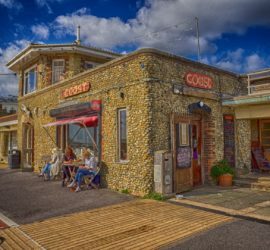 Coast Café, Worthing Seafront, Sussex. The Old Toll Bridge, Shoreham-by-Sea. 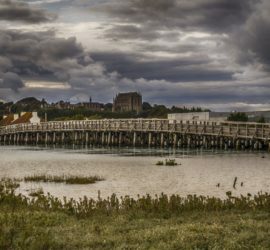 The Old Toll Bridge over the River Adur, Shoreham-by-Sea. Lancing College in the background.